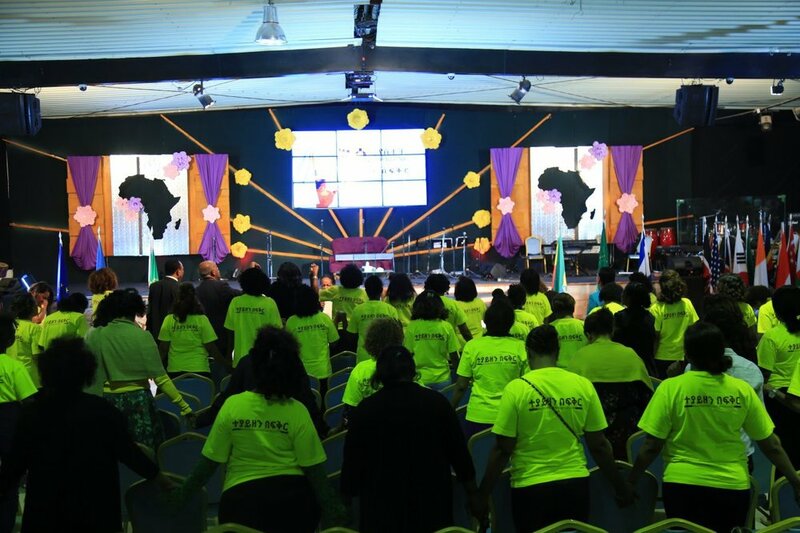 The National Women’s conference was held at the Beza Tabernacle on Sept 28-30, 2018 under the theme ‘Together in Love’. We believe that when women stand together in love, society follows. In light of this, the conference brought together women together from over 31 different churches and denominations to stand together for each other, their homes, their country and the Body of Christ. Besides sharing the Word and worship times, the three-day conference included trainings on bible study, finances and raising children. On the last day, Dr. Fikadu brought a strong biblical teaching on the seemingly restrictive scriptures on women and what the bible actually says drawing from his expertise and several years of research on the topic. The conference was a success as the women who came left inspired, blessed, enlightened and challenged. Young African Think'rs Convention 2018 was held under the theme ‘Understanding and owning Africa’s Identity: Using the Creative Industry for Effective Messaging towards a one-generation turn-around” at the African Union HQ in Addis Ababa from August 15 - 17. The convention was once again a success as it gathered 100 young people from across the continent and diaspora to develop frameworks for communicating messages of vision, awareness creation on the opportunities and resources available in the continent and the shared values of love, forgiveness and unity. The participants, mainly composed of young professionals from the creative industry, have gone back to their countries ready to engage and transmit the messages to their communities. Young African Think’rs is a network of African youth inspired by Agenda 2063 and highly convicted of the potential within them to bring the vision into reality. In partnership with the African Union, we have hosted our annual continental summits at the African Union HQ every August for the past two years. The convention is an intense brainstorming and idea generating summit that challenges young people to find solutions to the challenges Africa faces. National chapters of the movements have launched in countries like Kenya, Zambia, Zimbabwe and Uganda. We praise God for the favor He has given us as we work to further His kingdom in the systems of this world. Your support and prayers are always much needed. 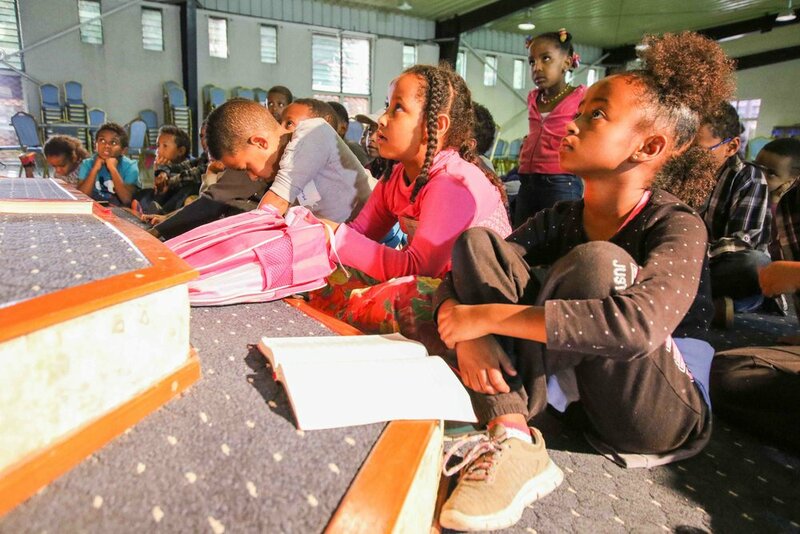 VBS is an annual one week long summer-camp that the Beza Children’s ministry organizes for children ages 6 to 11. This year, VBS was held under the theme Heroes of the Bible from July 23 - 27. The 34 children who attended learnt about one hero each day, and got to play games and make crafts related to the lessons they had learnt. It was a joy to see these young believers internalize values from the lives of the greats, and declare how they would also become heroes with Faith like Abraham, Wisdom like Daniel, and Courage like Saul. 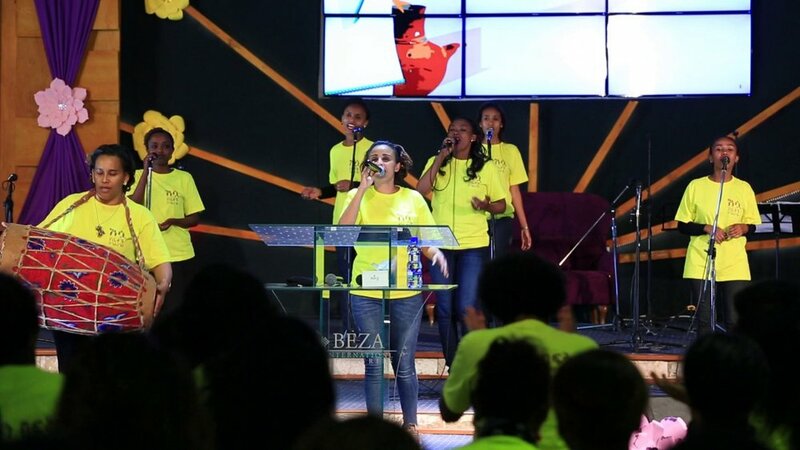 The Beza Youth group went on their annual camping trip from July 10 to 14th. The camp hosted about 65 youth in total. It was centered around the theme ‘Treasure huntingʼ - in which each camper gets to find the treasure that is within them. The camp schedule was organized into 4 main sections - morning devotionals, creative group sessions, afternoon group games, and evening worship and prayer. During morning devotionals the whole camp divided in peer groups studies the word and discusses. The creative groups is a time where each youth gets into one of 7 groups - Music, Fashion, Politics, Business, Arts, Urban Design and Film. Each group is expected to make something based on the given challenge. 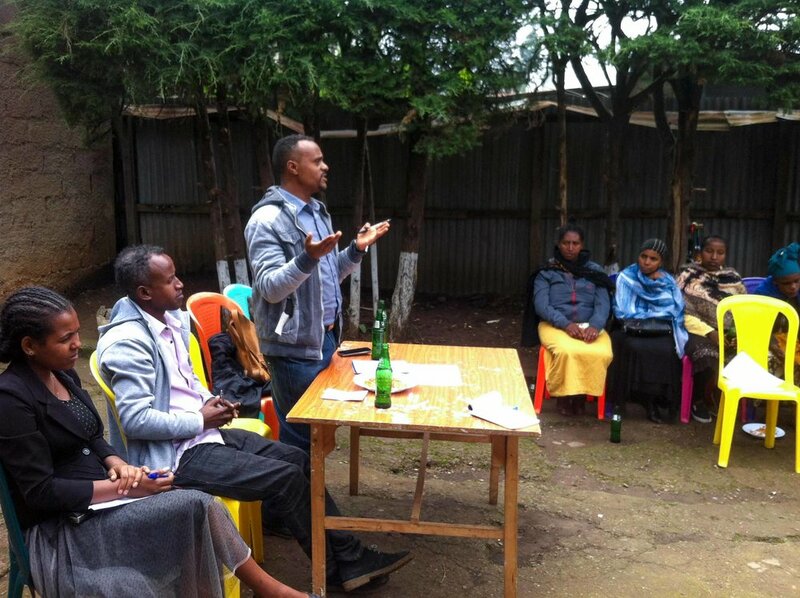 The results were presented on the final day where Pastor Z and parents attended. This years results were very inspiring and fun. In the afternoons, the whole camp plays big games like the Amazing Race and Capture the Flag. The evening worship session includes a speaker each night and prayer following. Overall, the camp was a success! Beza Community Development Association (BCDA) held its annual performance review gathering for the Women’s Empowerment Program at Entoto on July 3, 2018. On the day, the 6 self-help groups set up by BCDA, who used to meet individually on a weekly basis, came together as a social support community. Government stakeholders, project signatories and committee representatives were also present. The gathering was a time of sharing experiences and challenges, while reflecting on the progress made in the past year. The women expressed their happiness in the program and conveyed how helpful their weekly group meetings were. Besides saving, the mothers gave each other advise on life, confided with one another and cherish the relationships they’ve built. We were thrilled to hear the success of each group, as they reported on the tens of thousands of Birr each group had saved. BCDA’s Entoto Women’s Empowerment Program is a project that complement’s the Children’s project it also runs. The project gathered the mothers of the children it cared for to empower them to start their own business and save. These women come from households who are affected by HIV/AIDS and deprived means of livelihoods. However, today beyond being able to provide for themselves, they are also saving for future investments. Some of the groups have also been able to take out loans from banks and paid back within the year. We praise God for the favor and support we’re witnessing from our local government. We look forward to doing more with this partnership.